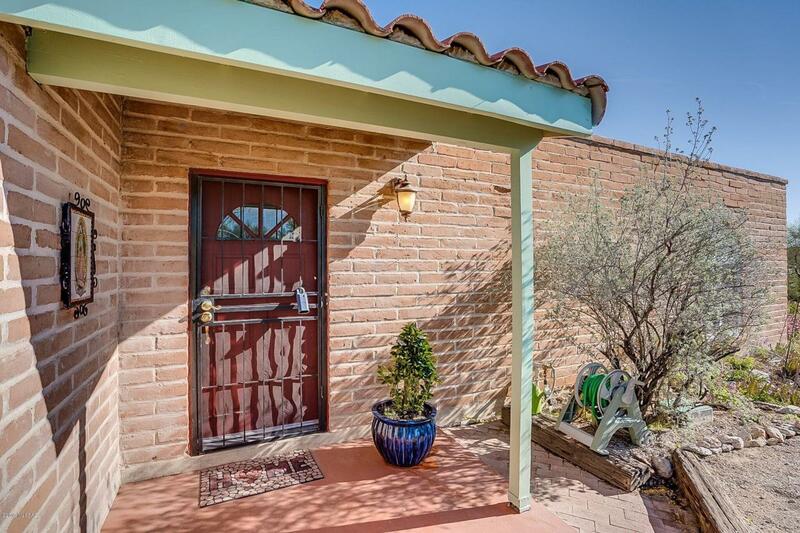 Artistic burnt adobe 3 bed/2 bath with pool and views on over an acre surrounded by lush desert yet minutes from downtown! Open living space with classic archways and tasteful accent colors. The kitchen has granite countertops with glass paneled cupboards to display your beautiful dishes and glassware. New stovetop! Claw foot tub in the hall bathroom just adds to the elegance of this hacienda. 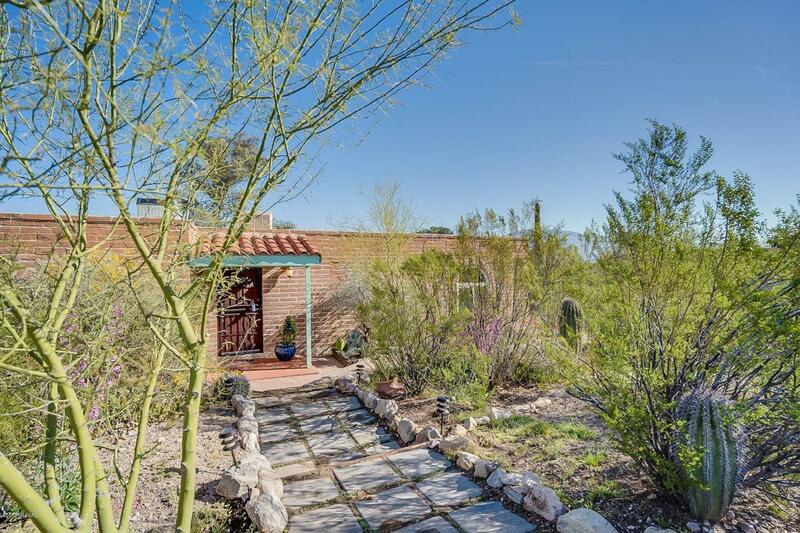 The sparkling pool is private and there is a large covered patio facing the beautiful mountain and valley views to the north. 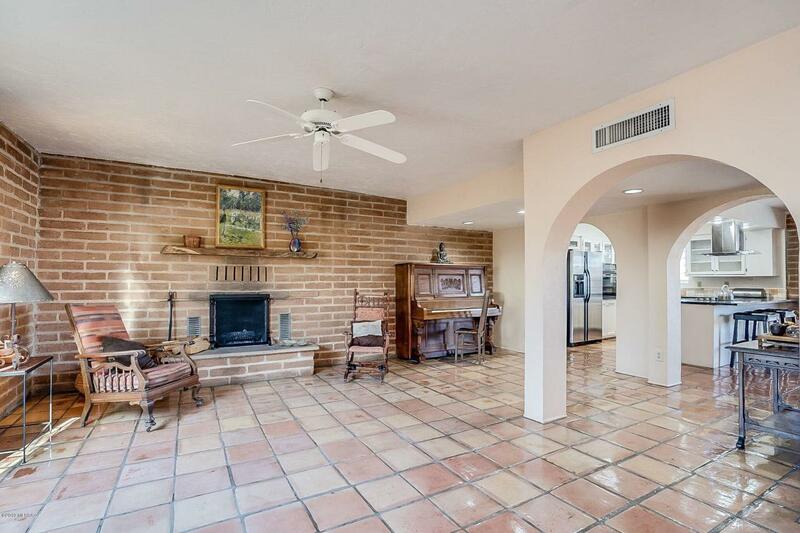 Huge separate family room is carpeted and makes a great media room or playroom! 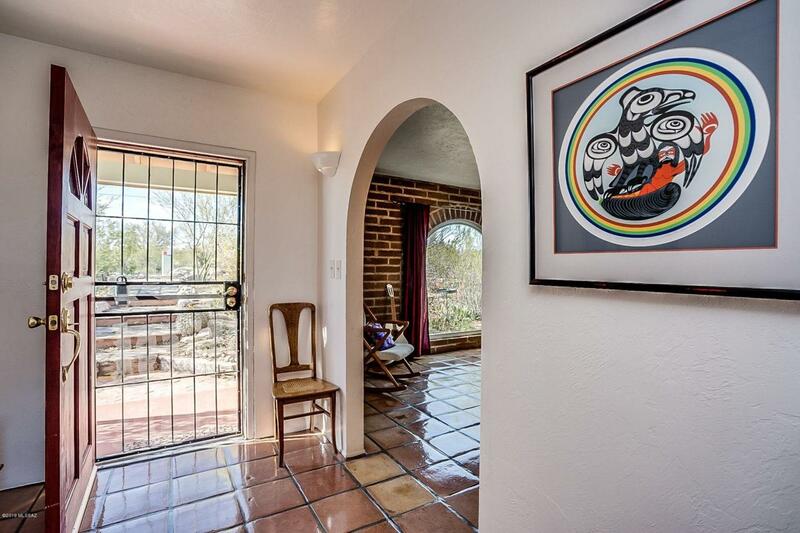 Saltillo tile and gorgeous concrete floors throughout rest of the house. Laundry room is spacious with new flooring. This beauty has been cared for and loved for years! Now it is readyfor you to love! See attached documents for more special features including energy efficient windows!